Whether you want to find about what types of property are covered by a NC business insurance policy, want to find what types of liability coverages are on NC business insurance policies, what types of extra coverages are available on a NC Business insurance policy or to simply obtain a NC business insurance quote, you’ve come to the right place. What Does North Carolina Business Insurance Cover? North Carolina Business Insurance is a vital element in the success of any North Carolina Business. A NC Business Insurance Policy is actually a combination of the two most common types of Commercial Insurance, NC Commercial Property Insurance and NC General Liability Insurance. By combining these two coverage forms, insurance carriers create a “Package Policy”. These package policies come in two different forms. The first form is called a Business Owner’s Policy (BOP) and is used to insure the average “small business”. The second form is called a Commercial Package Policy and is used for larger businesses or businesses with a higher exposure to loss. Why choose a package policy? Many years ago, Insurance Carriers realized that most businesses that purchased insurance typically purchased both Liability Coverage and Property Coverage. In seeing that trend, Insurance Carriers decided to combine the common insurance coverages these businesses typically purchased into one common policy.  As the years have gone by, Insurance Carriers have tweaked the Package Policy by adding additional coverage options that allow the business owner to create the best policy insurance policy for their business. A vital coverage that can be endorsed to your NC Business Insurance Policy is the Loss of Income / Business Interruption Coverage. When a business is damaged (example: the office building burns down), it suffers more than a physical loss to its property. Employees may not be able to work, customers may be forced to purchase from a competitor because you can not supply the products or services they need, so there is a loss of income. There may also be certain expenses that remain even though your business has temporarily shut down. Without Loss of Income / Business Interruption Coverage, you are not protected. Some North Carolina businesses do not own any automobiles. However, the company still has a huge liability exposure with regard to automobile liability. Most often, the exposure for hired and non-owned liability is endorsed on the company’s NC business auto policy, however, if there is no such policy the NC business insurance policy can be endorsed to provide this protection. For more information about hired and non-owned liability please reference our NC Business Auto Insurance page. Many businesses (especially retail stores) receive or keep a certain amount of money and/or securities on the business premises. These same businesses will then take those same securities off their business premises (to tank to the bank for deposit). Without endorsing your NC business insurance policy for money and securities, you will have no coverage in the event that that money and securities are stolen. While every business owner tries to hire the very best employees, there are times when your employees may choose to steal from you. The NC business insurance policy can be endorsed to cover the dishonest acts of your employees. One of the fastest growing exposures any business faces today is in protecting their business from liability arising from the employing workers. WHAT IS EMPLOYMENT PRACTICES LIABILITY? Employment Practices Liability (EPL) Insurance protects an employer from employees’ claims alleging discrimination, wrongful termination, harassment (including sexual harassment). EPL Insurance pays for liability damages and defense costs due to these charges brought by full-time, part-time, temporary, seasonal employees, applicants for employment, recognized volunteers, and independent contractors. WHY DO SMALL BUSINESS NEED EPL COVERAGE? Nearly 50% of EPL charges are filed against small businesses. Even groundless employment practices charges may require legal defense which can ruin a small business. WHAT DOES A TYPICAL EPL CLAIM COST AN EMPLOYER? 81% of EPL claims are resolved for between $22,400 and $40,500. In 2005, the EEOC reported that racial discrimination was the leading employment allegation at 35% of all claims. Gender discrimination was alleged 31% of the time followed by age discrimination at 23%, disability discrimination at 19% and sexual harassment at 17%. Contact an advisor today to discuss the NC Business Insurance Policy and the endorsements and extensions that will best suit your insurance needs.